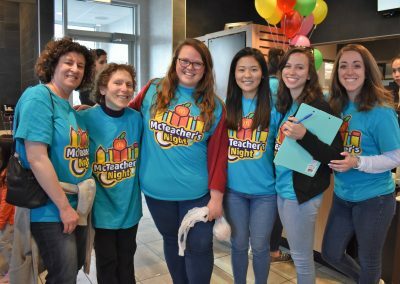 School District 102 teachers serve students and families at McTeacher’s Night to raise money for the D102 PTO. 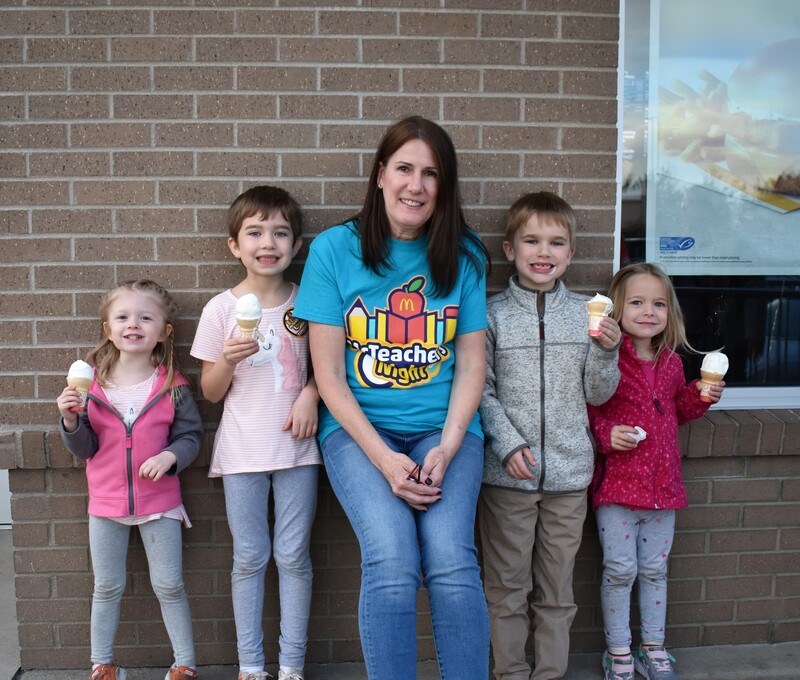 District 102 students gave teachers an A-plus on their fundraising efforts to support local education and their schools. 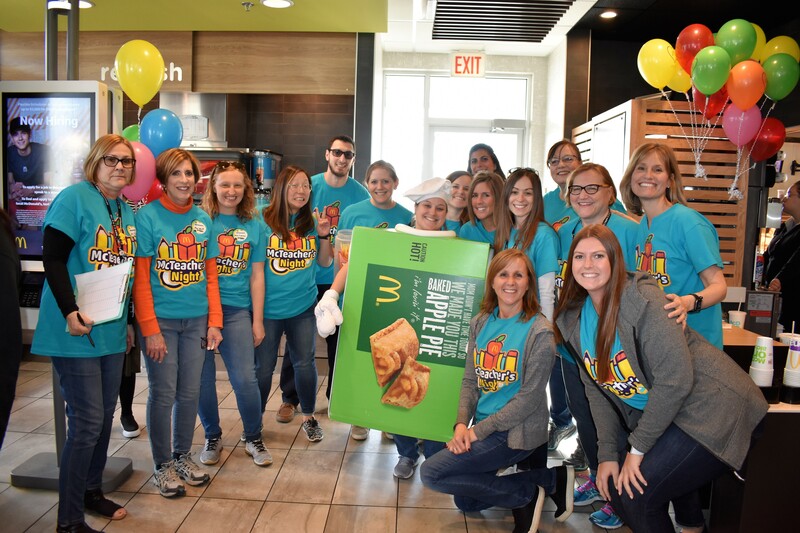 Over Twenty teachers from D102 in Buffalo Grove volunteered behind the counter on Tuesday, April 9th, at theWheeling McDonald’s located on Lake Cook Rd., where they served students and their families in a fundraiser for the District 102 PTO. 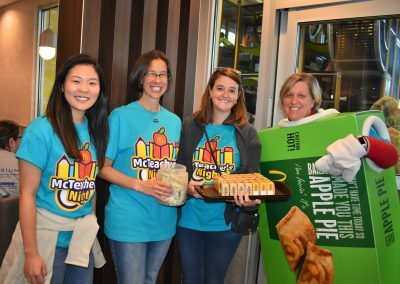 Four teachers from District 102 took turns wearing the pie box costume whileother teachers sold the pies alongside them. The proceeds from the sale of 240 pies went directly to benefit theDistrict 102 PTO. 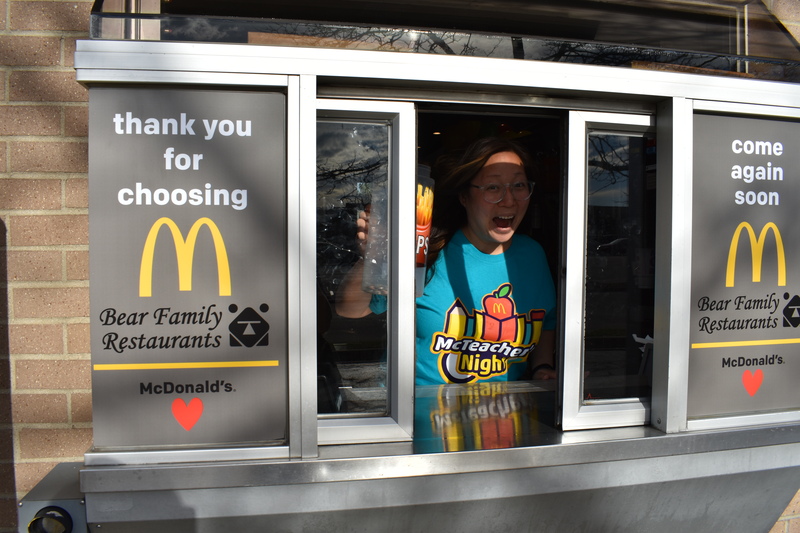 Twenty percent of the proceeds from the McTeacher’s Night sales were donated directly to the PTO as well. “ District 102 thanks Mr. David Bear and his staff for opening his doors and welcoming us in. 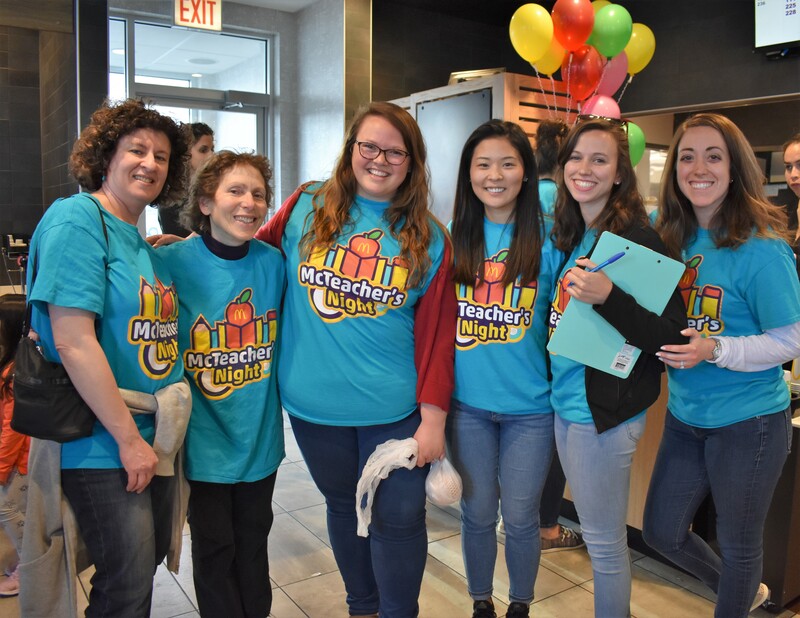 Our staff always has so much fun at this event spending the evening with our students, families and the community! Thank you so much! 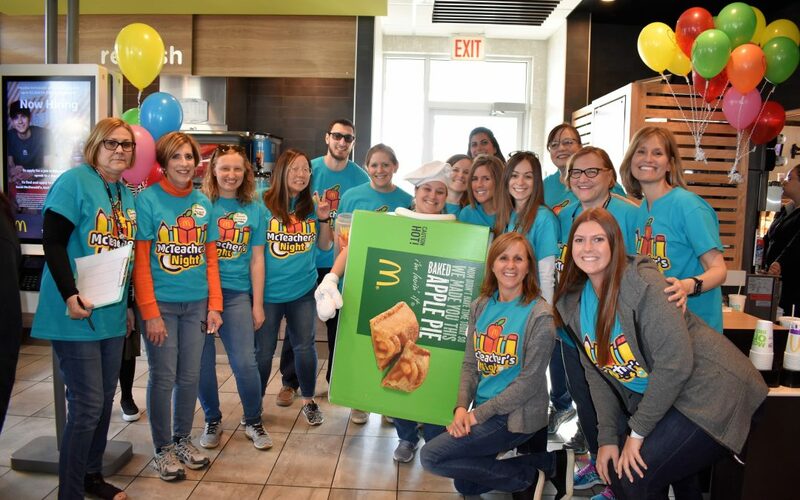 We can’t wait to do it again!” said Lauren Knell, PTO Board Member. Bear donated a case of apple pies to the school for sale at the event. 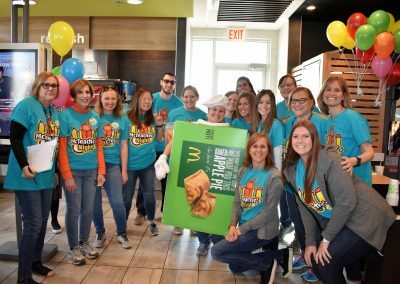 Inspired by the success of McTeacher’s Night, The Bear Family Restaurants have set their sights on partnering with other schools in the area. 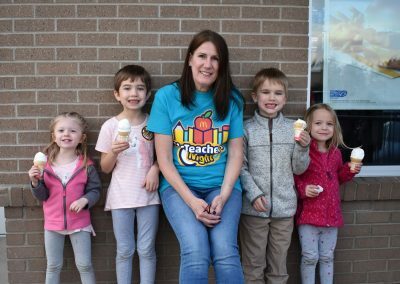 “The teachers, staff, PTO members, and everyone who rolled up their sleeves in support of this event” are the fabric that strengthens our community,” Bear said. 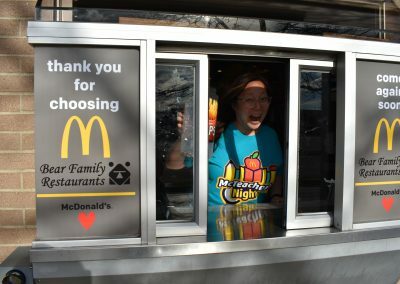 McTeacher’s Night was courtesy of the Bear Family Restaurants and McDonald’s Owner – Operator, David Bear. Like us on Facebook and visit our Website.